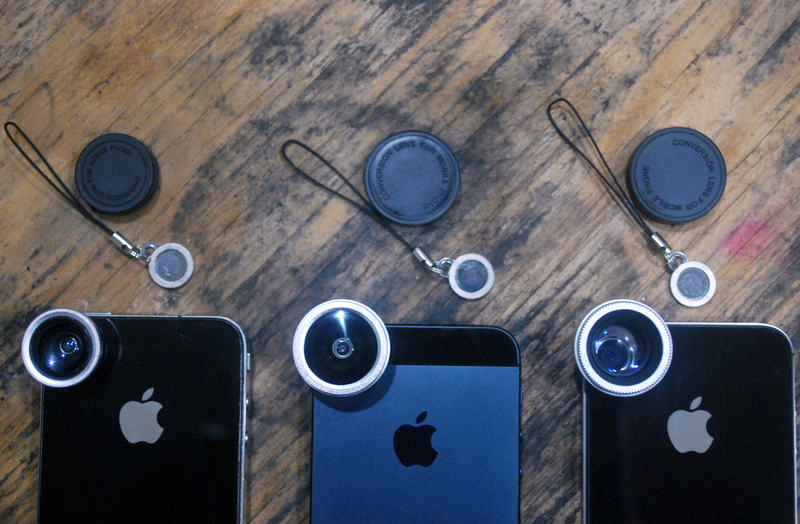 As part of 9to5Mac’s ongoing iPhoneography gear series for the holiday season, we looked at a slew of iPhone 5-compatible accessories, but some of you may still own the iPhone 4S or older, so we got our hands on the Swivl for iPhone 5/4S/4 and the Lens Dial for iPhone 4S/4. First of all: Yes, iPhoneography is an actual name (it even has a Wikipedia page). It essentially, as one might guess, involves shooting and processing with an iOS device. Photojojo.com offers an impressive, mouth-watering catalog of photography and videography gear for the iPhone 5 and older generations, so we decided to take some of the website’s hottest accessories for a spin. And, over the next few weeks, we will continue to test and review only what’s best for helping creative folks step up their iPhoneography game. As part of 9to5Mac’s ongoing iPhoneography gear series for the holiday season, we got our hands on three special effects lenses— wide and macro, fisheye, and telephoto— crafted from solid aluminum and equipped with sturdy, premium-definition glass to guarantee pro-like, optical perfection. First of all: Yes, iPhoneography is an actual name (it even has a Wikipedia page). It essentially, as one might guess, involves shooting and processing with an iOS device. Photojojo.com offers an impressive, mouth-watering catalog of photography and videography gear for the iPhone 5 and older generations, so we decided to take some of the site’s hottest accessories for a spin. And, over the next two months, we will test and review only what’s best for helping creative folks step up their iPhoneography game. Check our first review on the tiny, yet ever-so useful, Easy Macro Cell Lens Band. Go below for a hands-on review of the $49 Photojojo Lens Series.